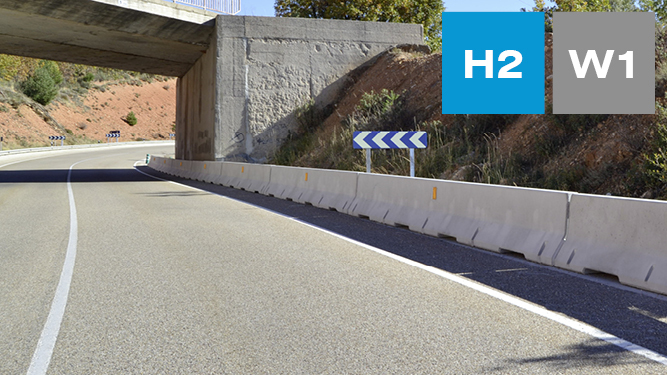 Effective bridge systems for protection of road users and the construction! Solid and reliable vehicle restraint systems are even more essential for bridges as the result of an accident involving a vehicle falling off a bridge can be substantially more severe. This is also reflected in the national requirements for higher containment levels according to the European standard EN1317. The REBLOC® asymmetric bridge systems provide reliable protection in the event of a traffic accident and impede the breakthrough of vehicles. Bridge systems are available with minimal working widths and highest containment levels. 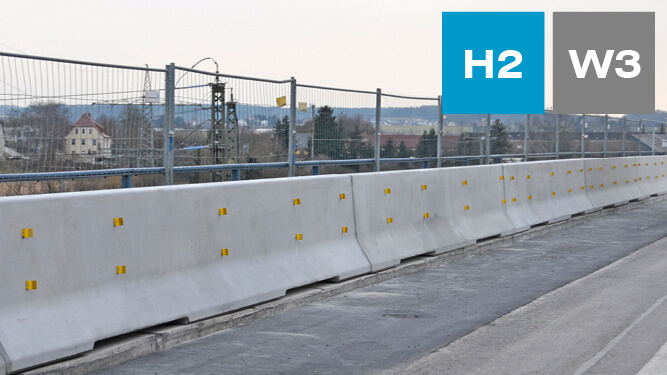 REBLOC® bridge systems offer beside highest road safety also protection for the bridge construction. Special dilatation elements for bridge expansion joints are available and take up movements caused by temperature fluctuations. 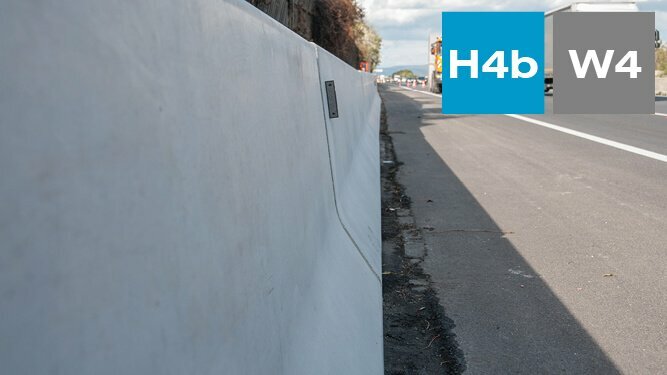 Anchored systems with minimum working widths are ideal for the application on the edge of bridges, for the protection of bridge piers as well as obstacles on the verge of roads. Beside the slim construction no system movement is achieved. The system with low working width is ideal for the application on new bridge structures as well as for the refurbishment of existing bridges. 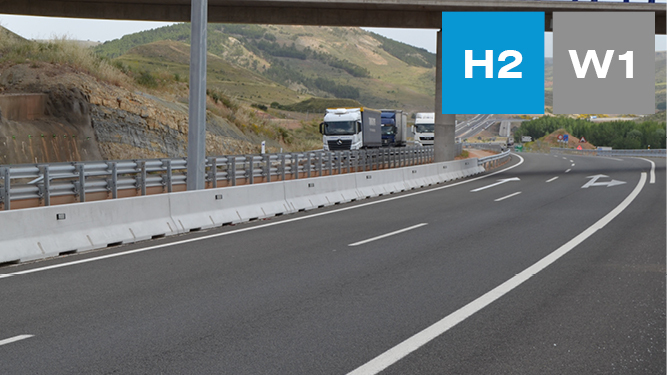 The highest containment level H4b offers best possible protection and even restrains the impact of a 38 t lorry driving at 65 km/h. The high containment level with simultaneouly low system movement is achieved thanks to the shear force beam between the concrete elements. Due to the free standing construction reduced collision design forces impart on the bridge deck.